The Glad Foundation Does The Kiltwalk! The Glad Foundation is a charity based in Shawlands, in the southside of Glasgow. 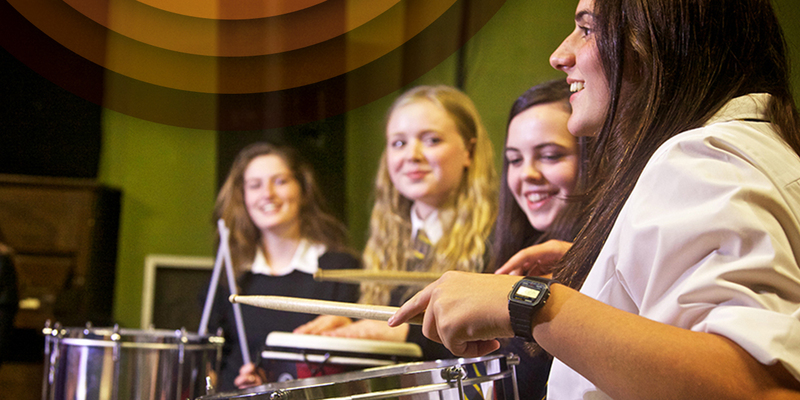 We provide a wide range of free and affordable music workshops for people of all ages and abilities. 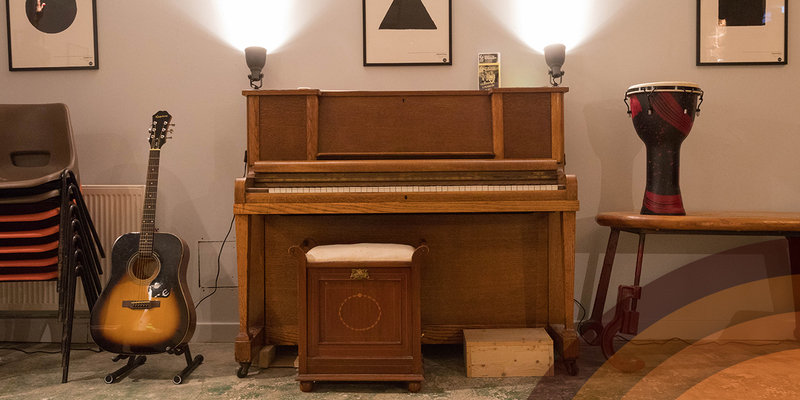 The Glad Foundation was started to put into action the social and community purpose of its sister organisations, the Glad Cafe and Glad Rags Thrift – to create opportunities for people of all ages and abilities to engage meaningfully and creatively with music and each other, regardless of their experience or background. We began life running a range of small initiatives funded by the support of Glad Rags, the Glad Community Choir, donations of money, and grants. 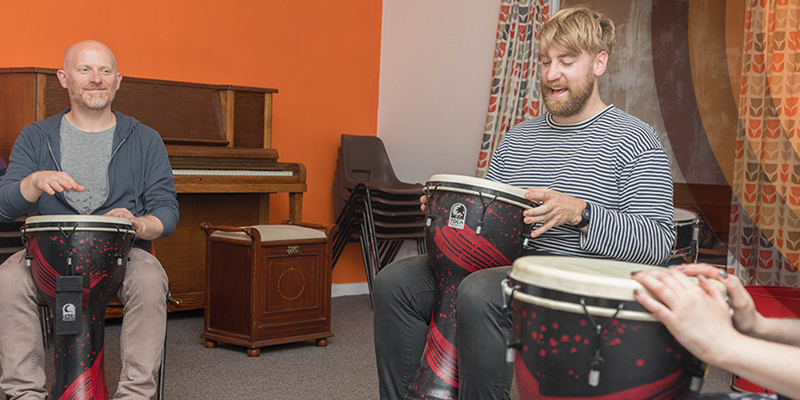 These included samba drumming with young carers in Pollok, songwriting with students in Mount Florida Primary, and a regular music group for young people with Autism Spectrum Disorder. 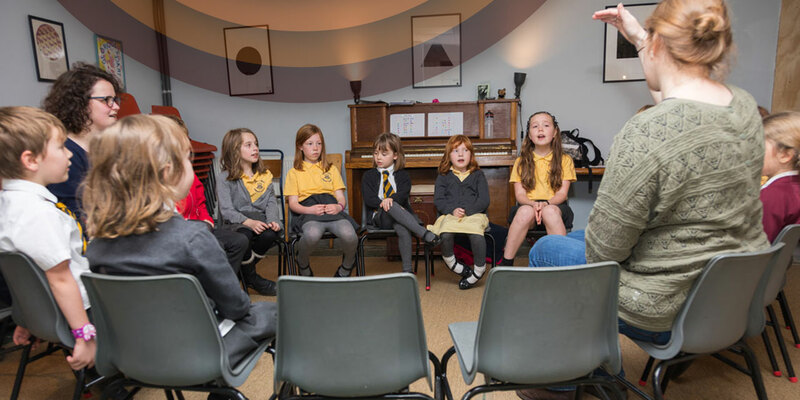 With the added support of Creative Scotland in Autumn 2015 – present and The Irvine Sneddon Memorial Trust, as well as the continuing support of our sister organisations and donations we are delighted to be doing more than ever before. Visit our ‘projects’ page for more information on our current projects. The Glad Foundation shared a post. It's a beautiful day and Guitar Group is back this afternoon for the summer term - looking forward to hearing what they've been working on this year! Only a week and a half until the KiltWalk!! Our crack team of walkers including staff from The Glad Cafe, Foundation, and Glasgow KiltWalk Captain, Tom Urie, will walk 23 miles, raising funds to support the Glad Foundation. For every £1 our walkers are sponsored for the Glad Foundation will receive £1.40! 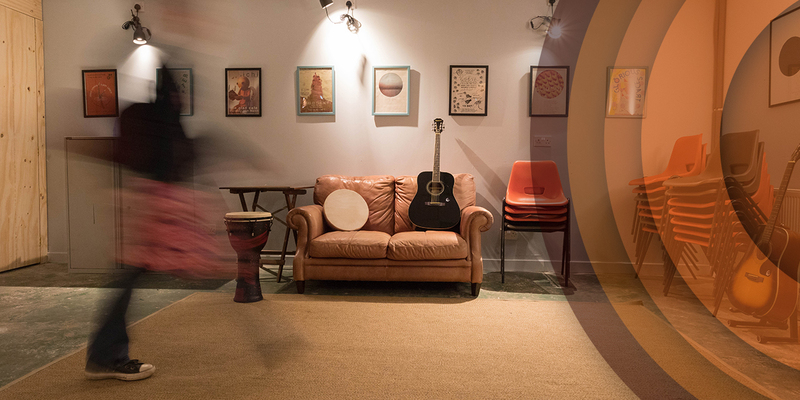 This will help massively in continuing to support access to free and affordable music lessons and workshops for young people and adults in the Southside, regardless of ability or background. The joy of music-making in our Southside community! Just some of the groups we run providing access to music-making for young people and adults in the southside of Glasgow. The next Hear My Music resource sharing session will be on Tues April 30 - free to attend but registration required, details below. The Glad Cafe Drumming School were amazing at the start of the week, huge thanks to all of you and Liam Chapman - Musician for leading the way. Wishing him a great tour playing with C Duncan and look forward to to more drumming when he's back! 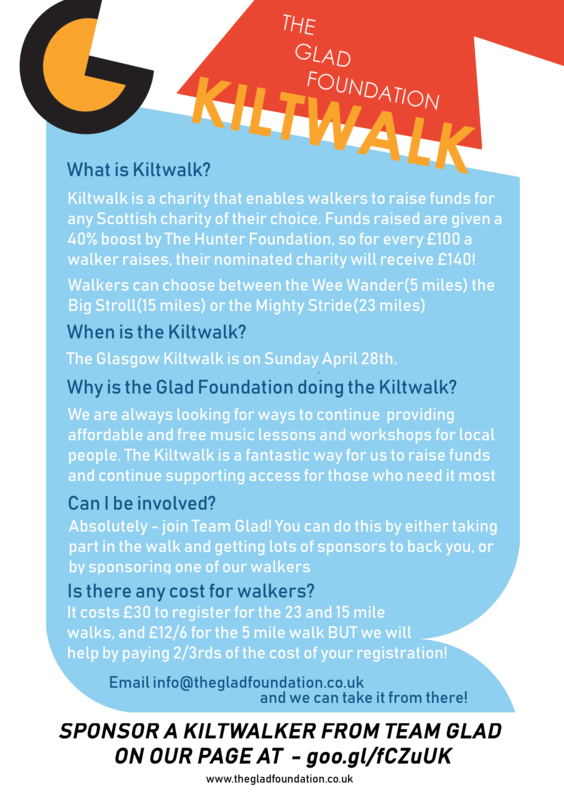 Team Glad are doing the KiltWalk on April 28th to raise funds to support the Glad Foundation and help us be able to keep providing access to free and affordable music making for young people in the Southside. © Copyright Glad Foundation 2018.